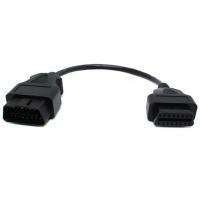 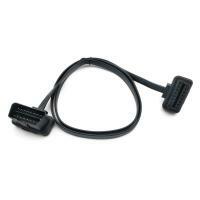 This OBD2 male to female extension cable is used to connect telematics, IoV devices, fleet management devices, OBD2 GPS trackers, OBD2 CAN programming tools, ECU tuning tools or car performance tuning tools to vehicles' 16-Pin OBD2 female ports. 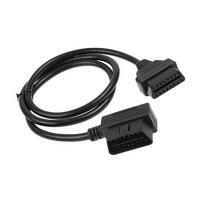 In some cars, the OBD2 OBDII female diagnostic ports are covered by lids. 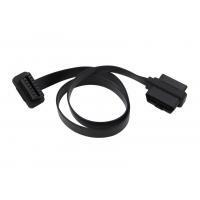 If you would like to connect and install some OBD2 telematics or IoV devices to the OBD2 OBDII female diagnostic ports in these cars, this cable is perfect for this application. 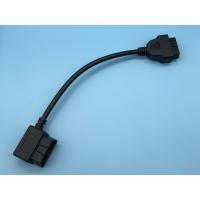 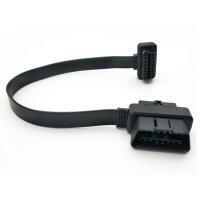 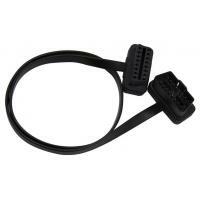 The overmolded plastic injection part at the ends of 16-Pin OBD2 OBDII female and male connectors makes the cable come out at a right angle 90-degree. 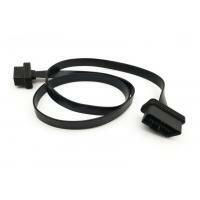 The overmold is with slim design and the cable is flat and thin. 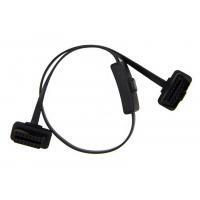 These features make it easy to connect and install these kinds of OBD2 telematics or IoV devices to the OBD2 OBDII female diagnostic ports in these cars. 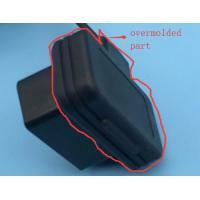 Moreover, we can also create an overmold which makes the total thickness of the OBD2 male plug (we have a very thin OBD2 male plug, thinnest and standard OBD2 male plug in the world) after overmolding only 19mm. 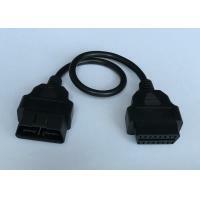 This OBD2 male plug of 19mm after overmolding can be inserted into the OBD2 OBDII female diagnostic ports in most cars including Volkswagen Caddy.